I've been sitting on this card for THREE months! Because things have been NUTS around here, what with one thing and another. The stress-o-meter was OFF the scale, between my oldest getting laid off and my youngest moving toward graduation (or not). I'm happy to report that the oldest has a job now and the youngest has gone through his graduation (though still working on finishing up). So things seem a bit better these days. STINKIN' CUTE! I have a hard time not buying all the sets Penny Black sells with these cute animals! I stamped him in Memento Tuxedo Black on Copic Blending card stock. I colored him and his balloons with Copic markers. I added some clear Sakura glaze pen to the top of the balloon after painting them with clear Wink of Stella. This greeting is from Birthday Love from Penny Black. I stamped it in Lipstick Red ink from Simon Says Stamp and highlighted it with a Sakura Stardust pen. 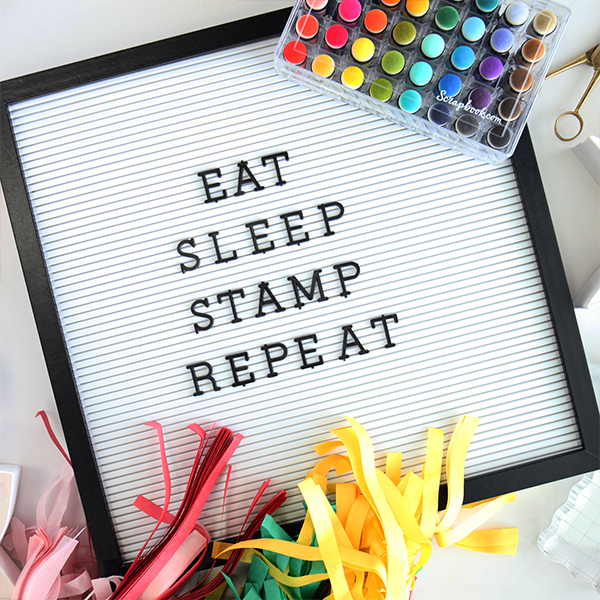 I added a few fun embellishments, including some rainbow washi from Doodlebug Design, a little Baker's twine, and this cute puffy sticker from My Mind's Eye. It turned out so cute! Sorry I withheld this cuteness from you for so long! Below is my list of products that I used, and I have used compensated affiliate links where they were available, as I now participate in affiliate programs for Simon Says Stamp, Amazon, Ellen Hutson LLC, Scrapbook.com, Gina K, Sizzix, and Blick Art Supplies. Buying through these links costs you nothing extra and helps support my blog and my artistic endeavors, and I thank you. This is sooo adorable! Congrats on the Penny Black Facebook mention!